Brighten up your back garden and usurp the quiet dignity of garden gnomes everywhere with this rib-tickling Gnome on a Throne ornament! 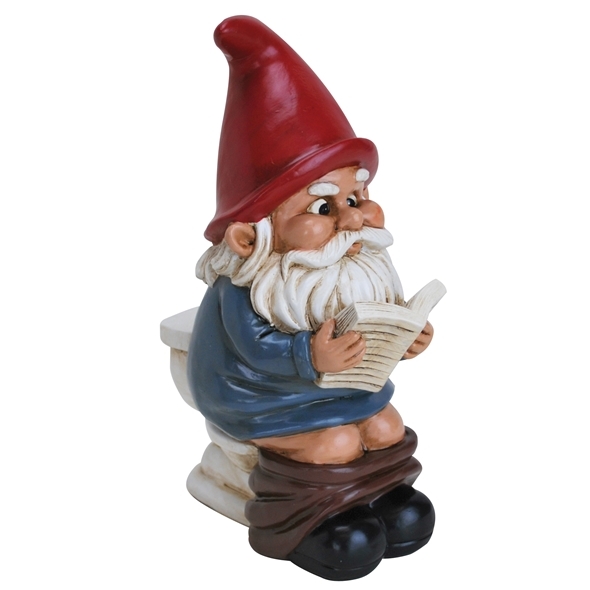 Unlike his brethren, most of whom can be found fishing or brandishing old-timey lanterns, this little gnome is sat on the loo, getting lost in a good book. We don't know what he's reading, but it must be very interesting - he doesn't even seem to realise that he's literally been caught with his trousers down! Click here for more funny gnomes! Every garden needs a few gnomes - their brightly-coloured outfits and bushy white beards are just the thing to brighten up a dull, lifeless lawn! 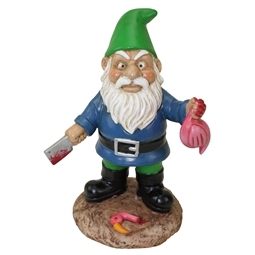 Trouble is, though...normal garden gnomes are just so boring. They all look the same, and they're all doing exactly the same things: fishing, or leaning on toadstools, or pushing wheelbarrows around. Wouldn't it be nice if you could have a slightly more orginal gnome in your back garden? Well, now you can! The Gnome on a Throne is a brilliant - if somewhat scatological - alternative to the usual gnomey fare. 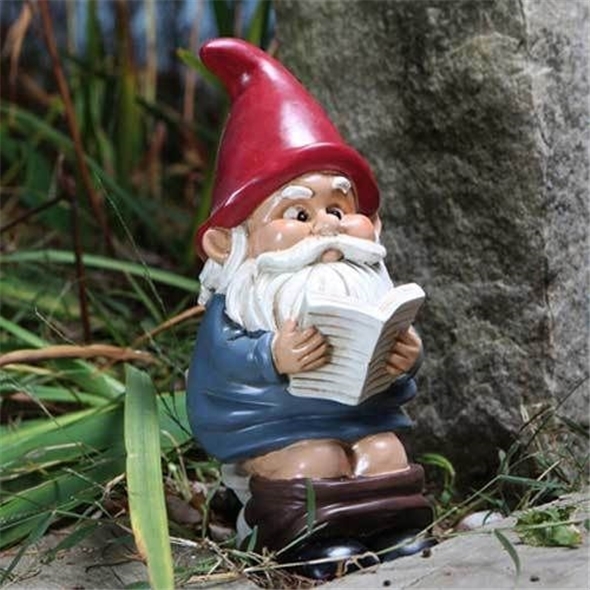 He's sat on a toilet, reading a book, and while he doesn't look especially dignified, he is a lot more interesting than any other gnome we've seen! Bound to amuse your houseguests!